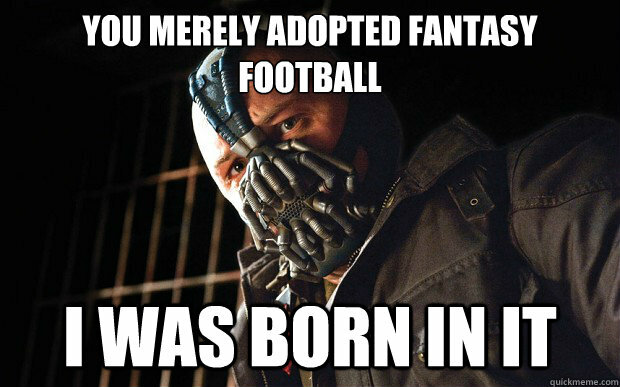 So it’s your first time playing fantasy football…and you have no idea what you’re doing. You don’t even really watch football – that much. The only reason you are doing it is because your office league was short one person, your boyfriend signed you up for a couple’s league, or because joining the family league is the only way you get to talk to them during the football season. Whatever the reason is, you want to be good and it, but you need a lot of help. Having played fantasy football for many years, I am fairly familiar with dealing with first time players. I know it can be overwhelming at times, but it can be a lot of fun. Here are six tips that will guide you to success during your first year. 1) DIY: Draft it yourself. Many first time players take drafting their own team for granted. With the option of having the computer pick your team for you, many people elect to save time, and the headache, by opting to forgo their drafts. This is a bad idea especially if the rest of your league is not auto-drafting. 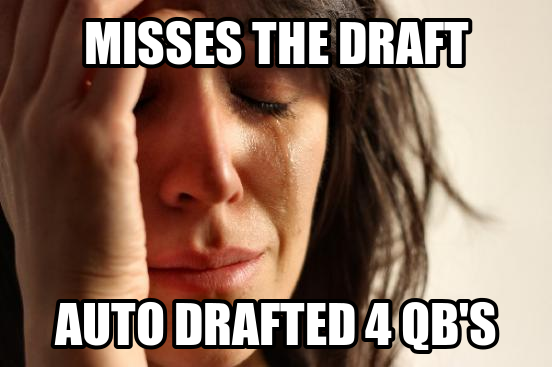 By electing to auto-draft, you give up your choice in the matter. It is not your team anymore; it’s the computer’s. Most times, this strategy could backfire big time. The computer does not know what is going on in the draft, it simply drafts the highest available player left on the draft board. Imagine a draft in which five of the best quarterbacks where taken in the first round. If you were drafting your own team, you would realize that you should probably over draft a quarterback before all the good ones are gone. However, the computer auto-drafting does not realize that, and it will continue to draft the highest player available regardless of position. That is how your auto-drafted team ends up with a second stringer as its starting quarterback. The best way to avoid these types of situations is by drafting your team yourself. 2) Pick your draft strategy and stick to it. 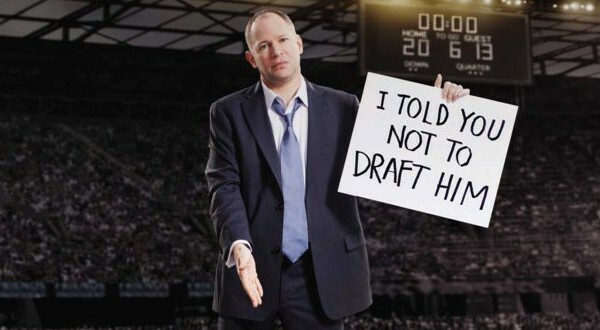 Regardless of your draft strategy, the most important thing to remember is to stick to it. At the end of the day it is your team, and you should be happy with the team you have chosen. If this is your first time playing, you will probably receive a lot of advice from “more experienced” players, but be careful, more experienced does not always mean better. Nothing is certain until the games are played. Everything is purely speculative and should be taken with a grain of salt. This being said, if you want to draft all of the players on your favorite team, go right ahead. If you only want the players with the cutest butts playing for you, that’s cool too. If you want to draft your team based on the fantasy website’s rankings (more on that later), knock your socks off. The beauty behind fantasy football is that you are the owner, president, GM, and coach. You are in control and you are the only person that matters when it is all said and done. 3) When in doubt, use the draft rankings for guidance. Drafting can be a little intimidating, especially if it’s your first time. Just how do you know who is good? Most websites rank the players from best to worst; if you are ever in a jam, use the rankings for guidance. Most die-hard fantasy football players ignore experts’ rankings for the sake of appearing to be some kind of fantasy football god. As a first time player, you should not care how you are perceived by your fellow league-mates; heck, you just want to win! For just this reason, it would be wise for you to use the draft rankings as a guide. You do not have to stick to the rankings religiously, they are not the end-all, be-all. When you find yourself in a pinch it helps to have a baseline you can work off. The rankings were made by someone who, for a living, writes about fantasy football. It would be grossly negligent to completely ignore the hard work of such a dedicated individual. There are worse things in the world than being unoriginal – like being the first person to lose to the league. 4) Setting your line-up is half the battle. 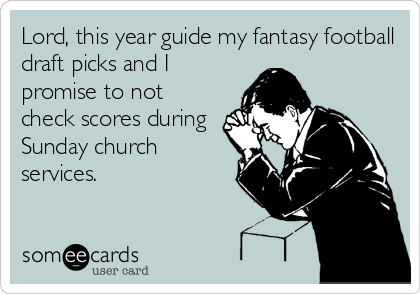 Nothing is more annoying in a league than an owner not setting their fantasy football line-up. Barring extreme circumstances, setting a fantasy football lineup is by far the easiest part of the process. You could actually set your lineup for the whole season ahead of time. There are a number of reasons why that is a bad idea (injuries, suspensions, ineffectiveness), but it is an option. 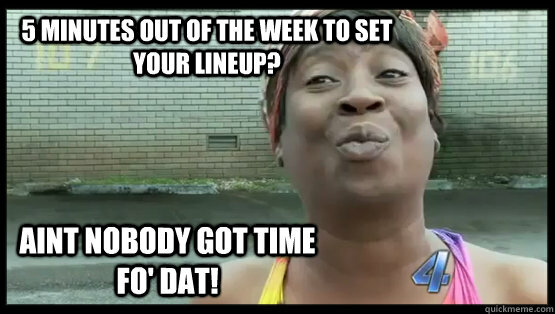 If you are serious about winning your league, you must set your line-up once a week. The best time to do this is right before the first game airs. You simply go on your computer or smart phone – yes there are apps for fantasy football; see why your boyfriend/husband/father/son is obsessed with his phone – and set your line-up. It takes all of ten minutes…on a Sunday; it’s not rocket science. 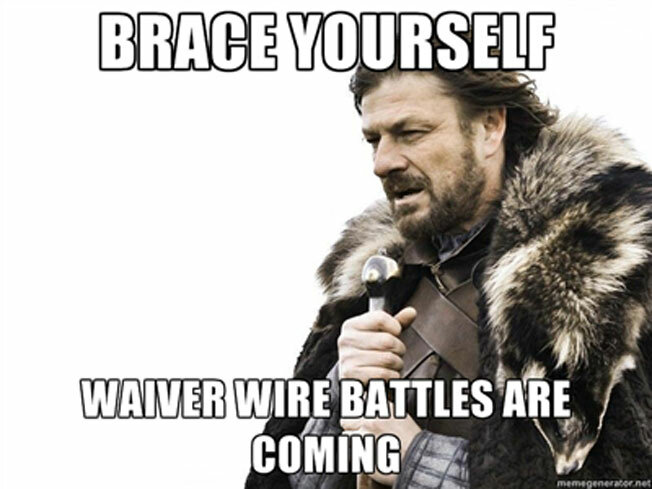 5) Working the waiver wire is the other half. What do you do if one of your players is having a terrible season? Well, not every player was drafted; there are many players available to be picked up and added to your team mid-season. Out with the old and in with the new! In some leagues it may cost (fictional) money to pick up these players, and in other leagues you may only be allowed to pick up a certain number of players throughout the season. However, in most cases, you can drop and pick up players as many times as you want, as long as no one else has picked them first. Theoretically, this would only take an additional ten minutes out of your allocated brunch time on Sunday. This may not seem like an important part of fantasy football, but one of those free agent players may make the difference between winning or losing your league. 6) You get out as much as you put in. This is the most important rule on this list. All things considered, fantasy football is supposed to be fun. It is a tool used to bring friends, family, and/or co-workers together through competition and sport. However, it is very hard to have fun when you don’t allow yourself to get too into it. It’s hard to have fun when you lose every game because you haven’t set your lineup since week one and you’re quarterback has been injured since week three. Losing is not fun, and more often than not people lose because they don’t try. You only get out as much as you put in. Fantasy football is not everyone’s cup of tea, but if you are willing to try it out, then you should at least be willing to try from the first game to the very last. Put some thought and effort into your team. If you don’t like it, then you don’t have to play ever again. It’s very hard to do something, let alone be successful at it, without putting in at least the minimum amount of effort required. I guarantee that if you put in the most minimal effort, while following my other five rules, you will not finish in last place. You can make the playoffs, and possibly win the championship. You can do it as long as you try. Fantasy football is not as hard as people believe it to be. I am sure that if it were, a lot less people would play it. For all you first timers out there, I wish you the best of luck, but more importantly, have fun! The best tip is to have fun!… Well done!